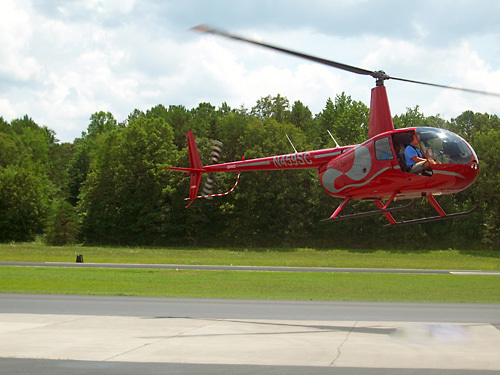 Sevier County Choppers features a variety of helicopter rides in the Smoky Mountains. Flights depend on weather conditions. Weight limit of 300 lbs. per person. Maximum of 3 persons per flight. Choose from mountain and city view, Pigeon Forge or Bluff Mountain, Foothills or Douglas Lake, Gatlinburg or Wears Valley, Mt. LeConte, and Clingman’s Dome! Flights from 4 - 60 minutes long. Views of Mt. LeConte, Clingman's Dome and more. Maximum 3 persons per flight. Wear dark clothing for better photos. 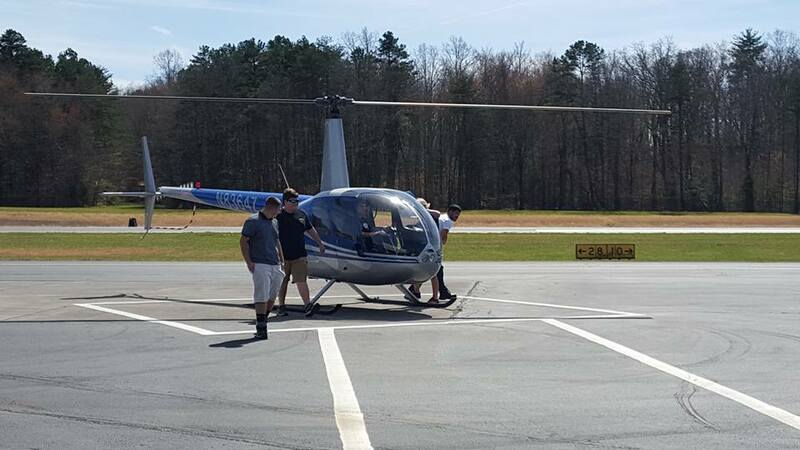 Sevier County Choppers features a variety of helicopter tours in the Smoky Mountains. Flights depend on weather conditions. Weight limit of 300 lbs. per person. Maximum of 3 persons per flight. 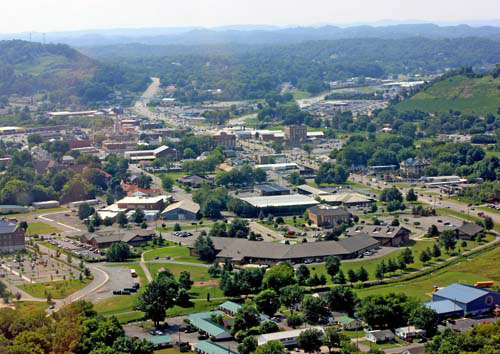 Mountain and City View (8 miles/4 minutes): This flight takes you over the city of Sevierville where you will get to see the Great Smoky Mountains. At about 1000 feet, you can see the beautiful panorama of the area. Pigeon Forge or Bluff Mountain (12 miles/7 minutes): This flight soars to about 3000 feet offering a traffic-free view of Pigeon Forge or a majestic view of Bluff Mountain. 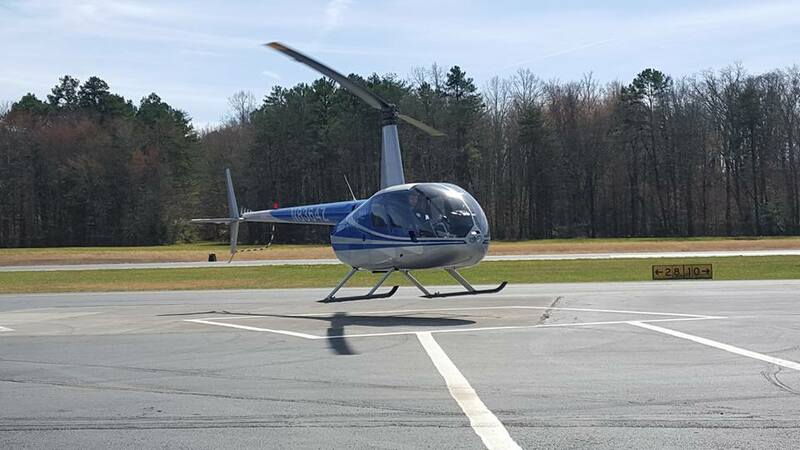 Foothills or Douglas Lake ( 22 miles/11 minutes): Enjoy a picturesque flight over the foothills of the Great Smoky Mountains or fly over beautiful Lake Douglas. 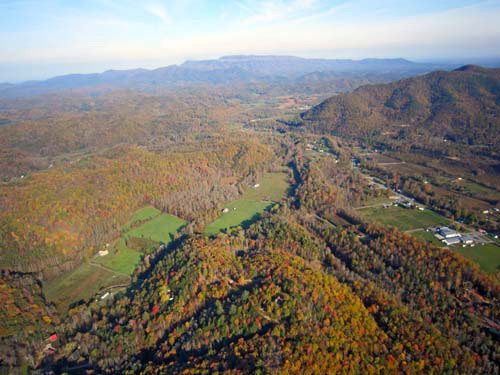 Mountain/Valley (30 miles/15 minutes): This flight will give you a view of the foothills, through Wears Valley for beautiful views of unspoiled countryside. 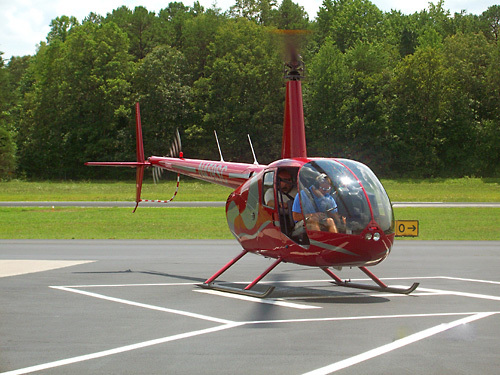 Gatlinburg (36 miles/18 minutes): Our Gatlinburg flight is our most popular ride. 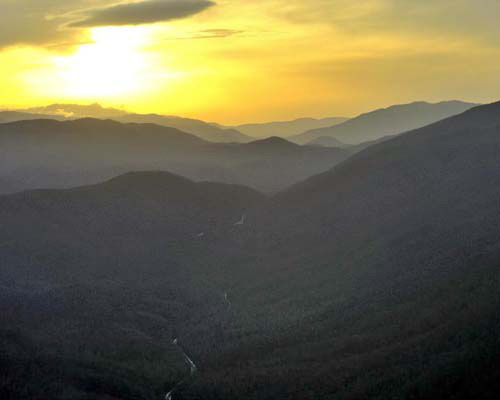 This is the first flight that takes you into the Great Smoky Mountains National Park. During this flight, you will fly over Pigeon Forge, Bluff Mountain, Ober Gatlinburg, and Chalet Village while enjoying spectacular mountain views. Wears Valley/Gatlinburg ( 50 miles/25 minutes): This flight will cover the foothills, through Wears Valley and will continue to Gatlinburg and into Great Smoky Mountains National Park. See It All (80 miles/30 minutes): This beautiful flight will take you over Mt. 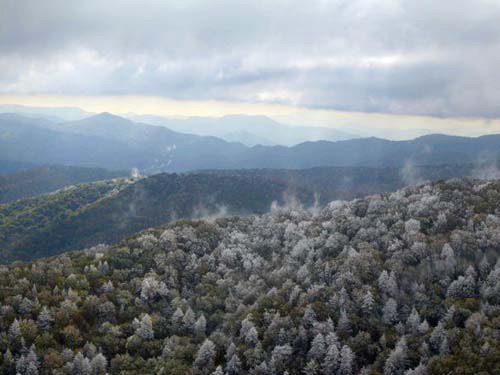 LeConte, which is the second highest point in the Great Smoky Mountains National Park. 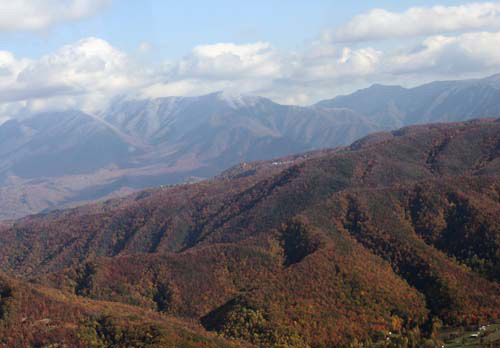 During this flight, you will also see Gatlinburg, Pigeon Forge, and views of the highest mountains in the Great Smoky Mountains National Park. Clingmans Dome (100 miles/40 minutes): Fly over the foothills, through Wears Valley and continue up to the highest point in the Great Smoky Mountains National Park, which is Clingmans Dome. On the flight back you will have breathtaking views of Gatlinburg, Pigeon Forge, and the Great Smoky Mountains National Park. The Ultimate Tour (120 miles/60 minutes): This is our most inclusive flight. This flight will take you all the way to Cherokee North Carolina, Clingmans Dome, Mt. LeConte, Wears Valley, Ober Gatlinburg, Chalet Village, Pigeon Forge, Bluff Mountain, and sensational views of the Great Smoky Mountains National Park. How long are the helicopter tours? How many people can go on a helicopter ride? Each helicopter ride has a 3 person maximum capacity. What happens to my ride in the case of rain? We reserve the right to cancel or postpone flights due to inclement weather conditions. This is for the safety of our passengers and our pilots. What is included in the flight price? In addition to unparalleled views of the greater Sevier County area, all guests receive a free headset on their flight. These headsets allow passengers to communicate with the pilot and reduce the overall noise associated with the helicopter ride experience.